You have already done the hard part. You’ve decided that it is time to get in shape. Whether it’s for health reasons or you feel like taking up marathon running doesn’t matter. Choosing to do it is the hard part. Well—that and deciding what treadmill you want to purchase. Get the wrong one, and you can end up with a big, expensive machine in the middle of the room you use more to hand laundry on then workout. Get the right one, and your workouts can be as challenging and productive as you want to make them. One treadmill you can’t go wrong with is the Freemotion 850. Why the Freemotion 850? In a nutshell, it has all the things you are going to want in a home treadmill, the price is reasonable, and it is easy to store. 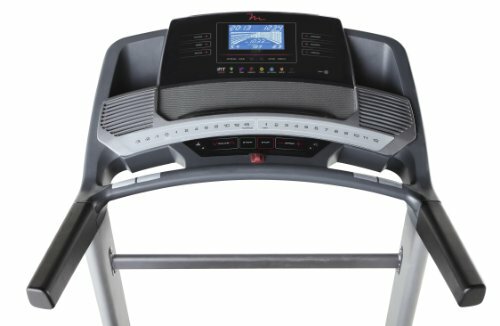 Is it the perfect treadmill? No. Some issues have popped up in several reviews online. That is why it only has three stars on Amazon (nine reviews). But it earned an average of 4.5 stars from the 18 reviews posted on Google. Some users love it more than others, but for the most part, they consider it a good purchase for the price. 1 So—Why Do They Like it or Dislike it? 2 Why Not Run Outdoors or Join a Gym? So—Why Do They Like it or Dislike it? Like any product, especially in the fitness industry, there are going to be things people like about it and things they don’t. The question buyers have to answer is whether the good outweighs the negative relative to the price of the product. What is acceptable and what isn’t is, of course, dependent on the buyer. Let’s be real. If all we wanted to have an easy, monotonous run we’d just find the longest, flattest stretch of property in town. But that kind of workout gets dull. Who likes to run through the same trees every day or just do laps around the track? We need something to occupy our minds! Many would say that you should just get an iPod and download some audio books. But if you can focus on what someone is reading to you, are you working out as hard as you could be? Some would say yes; many would say no as they plop down in their recliners at home. 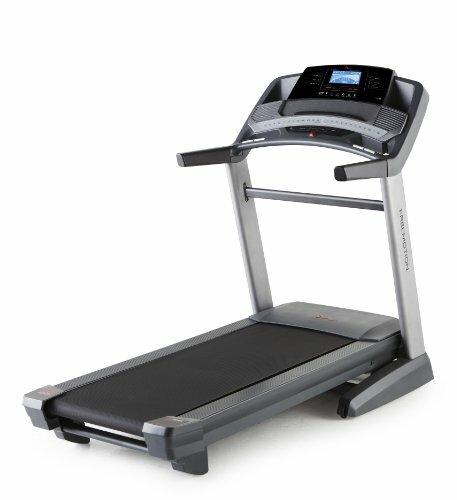 Inclines allow users to make a workout more challenging on the treadmill and the Freemotion 850 comes capable of a 15-degree incline. The decline (three degrees) is an excellent option for when it is time to cool down and if you want to simulate different terrains during your workout. Some users have complained about the speed of the incline/decline. But the consensus has been mostly positive. Most do not have any issues with how quickly it moves up and down and consider it easy to do so during workouts using the one-touch controls. 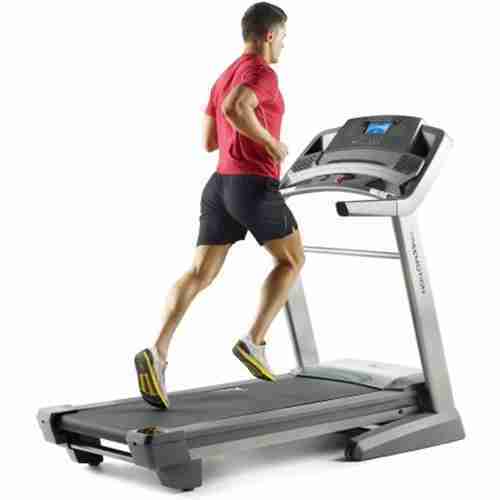 Most treadmills come with an incline option, but many do not go up as high as the Freemotion 850. 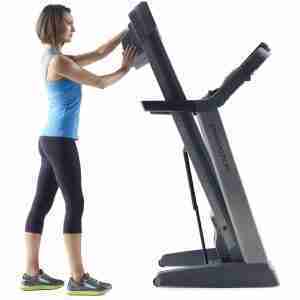 However, few come with a decline option which helps set this treadmill apart from the rest. Running is running, right? If that is what your workout is going to consist of, don’t you just need to hop on the treadmill, turn it on, and start running? If you are looking for the most basic workout possible—yes. But most of us get bored with the basic. Many of us are not seasoned enough to just manipulate the controls and come up with good workouts. That is where the Freemotion 850’s preset programs come in handy. Why try to design a workout yourself when you can use any of the 32 programs pre-set in the treadmill? Seasoned runners may have their own workouts, but for those looking to get started running, the programs can help get you going. If you feel like one is getting too easy or boring, you just switch to another! When it comes to treadmills, two things often tend to keep people from buying one—the price and they don’t want this big ole machine taking up so much space in whatever room it happens to go in. But you don’t have to worry about the Freemotion 850 taking up too much space. After you finish your workout, the treadmill folds up for easy storage! EasyLift Assist Technology makes it possible to fold and store. Unlike many folding treadmills, the designers did not compromise the durability of the treadmill in order to include a folding frame. However, once you fold it up, it can be kind of heavy. You hope you never need it, but it sure is nice to have in case you do. The Freemotion 850 comes with a nice one. On the frame and motor, it has a lifetime warranty. It also comes with five years of coverage on parts and two years for labor. Some users complained about how long it can take to get something fixed, but more on that later. The issue isn’t necessarily that the display screen is small (at seven inches). For most treadmills, it would be just right. But with all the things the Freemotion 850 comes programmed with, the screen can get a bit crowded and cluttered up. When your screen is cluttered and crowded, it can be hard to read. So, while the extras are all great, they can cause more harm than good for the display. We’ve all seen it at the gym or have been the person using “that” treadmill. But either you or someone else gets on the machine, starts running, and as they get going a loud squeaking sound can be heard coming from the front of the machine. If you happen to the one running, there is nothing you can do. It’s not like you can run quieter. But when you run on a treadmill at home that you just spent a good amount of money on, the last thing you want is a machine that squeaks. But the Freemotion 850 has been known to do so quite a bit. Size doesn’t appear to be a factor. It’s rated for people up to 350 lbs. and users in the 200 lbs. range and smaller have complained about the squeak as much as anyone. If it’s bothersome enough, people (and for many—it has) can call customer service. In a perfect world, customer service would be like warranties. It would be something that you take comfort in knowing it exists but are happy never to use. However, many who have purchased a Freemotion 850 have. Several Amazon reviews complained about having trouble getting answers out of customer service. One who called to complain about the squeaking issue said they were told to take different parts off to attempt to isolate the issue. But they never got a straight answer on what the issue was or how to fix it. Another talked about how their treadmill broke after four months of daily use and how it took a month to get a part replaced. Someone else said they were told the problem was for them to fix (not the company). That person said they felt like the company did whatever it could to avoid having to do anything. Why Not Run Outdoors or Join a Gym? Yeah, you could run on your own in the great outdoors or join a gym. But running outside can get pretty dull pretty fast. What if you don’t get home until after dark or if the weather is not jogger-friendly? Yeah, some people go running in the freezing cold and even the rain. But those guys are crazy—and you’re not crazy (right?). As for the gym, it is way too easy to make excuses not to go. Maybe it’s too late, or you feel like all the super-fit people make fun of you or the machine you want is always in use. It’s easy to join but even easier to stay home. If you really want to get into running and minimize the excuses, you need to buy your own treadmill. The weather is never an issue inside your home. Unlike the gym, your home never closes, so you can get a workout in whenever the desire strikes. If you think your goldfish may be judging you for working out in spandex, you can just move his tank into the closet. All in all, this treadmill is widely regarded as a good purchase. Most users seem to really enjoy the variety and number of preset programs and rave about the decline option. The iFit compatibility makes it easy to track progress and fitness goals. At the same time, many have complained about the heart rate monitor. The Freemotion 850 is equipped to work with a wireless chest strap receiver, but it doesn’t come with one. You can, however, use the handlebars. The number and variety of programs make it as user-friendly for the novice runner as the veteran. Of course, you could go with a treadmill from a company with a more recognizable brand. But often times, you end up paying more for the name than you do the product. Do you want to have a brand name attached to a subpar treadmill? Would you rather have one whose value is more in the product than the name? If you prefer the later, you will be quite happy with the Freemotion 850.